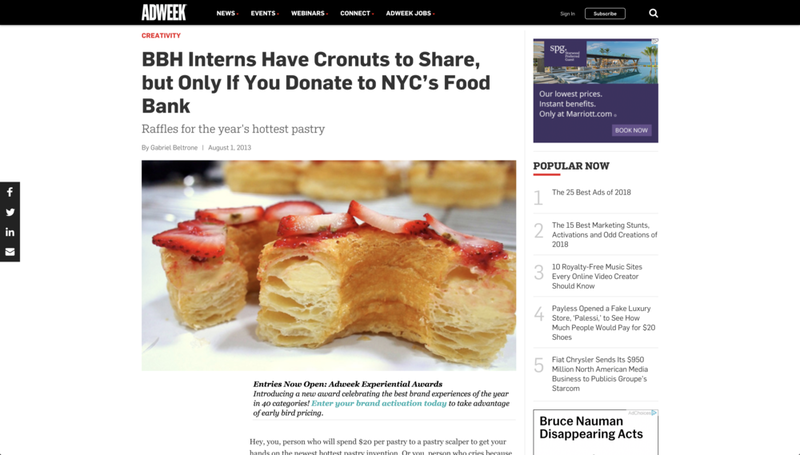 As part of The Barn, BBH's internship program, we were prompted to "do good, famously." 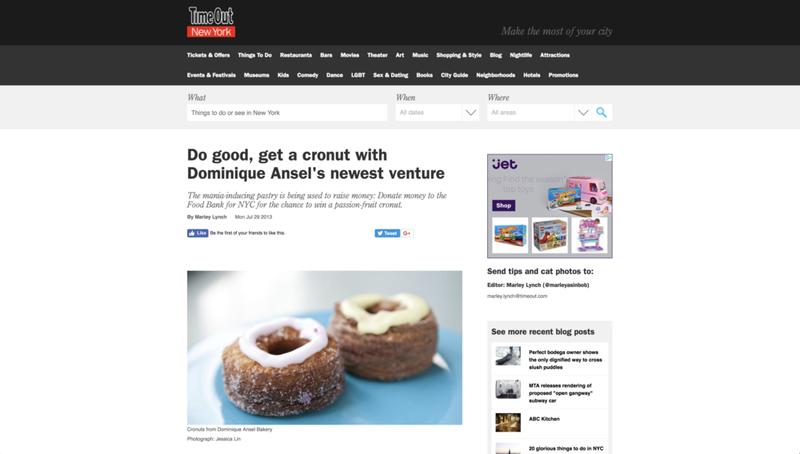 In response, we came up with The Cronut Project, a 6 day event that used NYC's hunger for the coveted pastry, the Cronut, to feed NYC's hungry. We were a team of 3 so I had a hand in the concept, strategy, art direction, copywriting, voice, PR, and a little bit of everything else.